You’re always on the go and you practically live out of your laptop bag. Not sure what to put in it to make you the best prepared geek around? We’ve rounded up some super handy laptop bag must-haves, and all of them are under $30. If you’re away from your desk (or don’t even have a proper desk to call your own in the first place), it’s important to have tools immediately on hand to stay organized, stay charged up, and be prepared for work outside the office. The following collection of gadgets will help you stay on top of your work (and play) without taking up too much room or hitting your pocketbook too hard. There’s nothing worse than having your phone die on you with no outlet in sight. 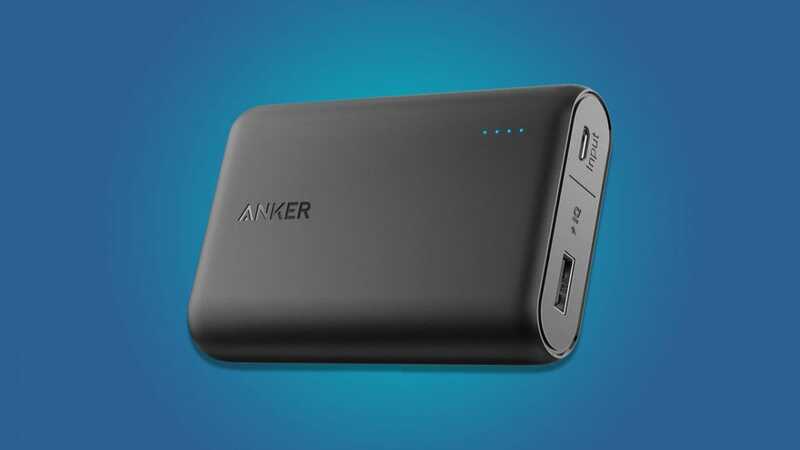 A definite must-have for your laptop bag is this Anker PowerCore Portable Charger; its lightweight and portable design makes it so easy to carry with you, and its compact size is convenient when you’ve got other things to put in your bag. It has enough juice to recharge your phone 2-3 times (depending on the model) and offers the build quality you’d expect from Anker. Want to power not just your phone but your laptop itself? If your laptop charges off USB-C then you’ll definitely want to check out our review of the beastly Anker’s USB-C PowerCore Speed 20000 PD. Your laptop comes with a trackpad, but trackpads are generally sort-of-OK at best and pure-focused-agony at worst. 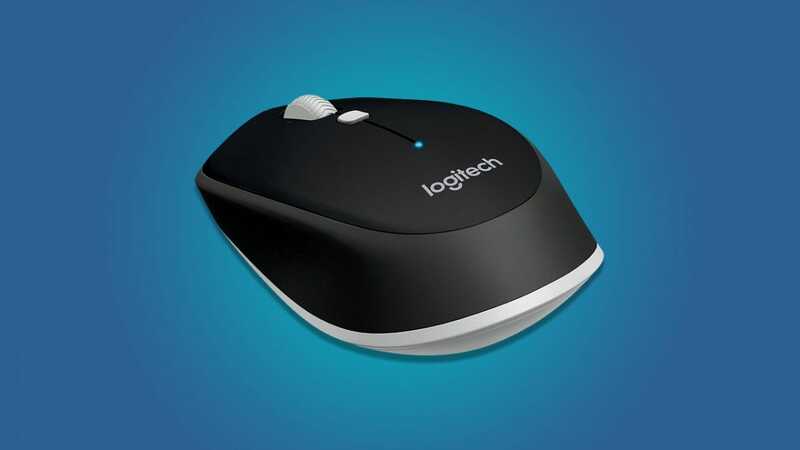 Get yourself a Logitech M535 Compact Bluetooth Wireless Mouse so you can work quickly without having to worry about fussy trackpads, cords, or losing the little receiver dongle. All you have to do is grab the mouse from your bag, turn it on, and start clicking; it will even last up to 10 months with just one battery. Do you have multiple gadgets, but your laptop doesn’t have enough ports? 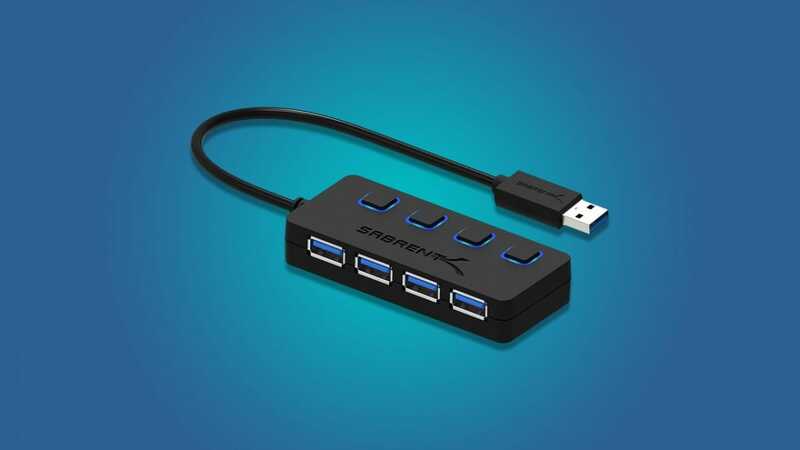 The Sabrent 4-Port USB 3.0 Hub is a perfect way to expand your ports. It packs light, is backwards compatible with older USB standards, and—if you’re into that sort of granular control—you can independently toggle each port on the hub. Have a new we-don’t-need-no-stinkin’-ports laptop that only has USB-C? Don’t worry, there’s a USB-C version of the hub too. Are you tired of typing on the touch screen of your tablet or phone? 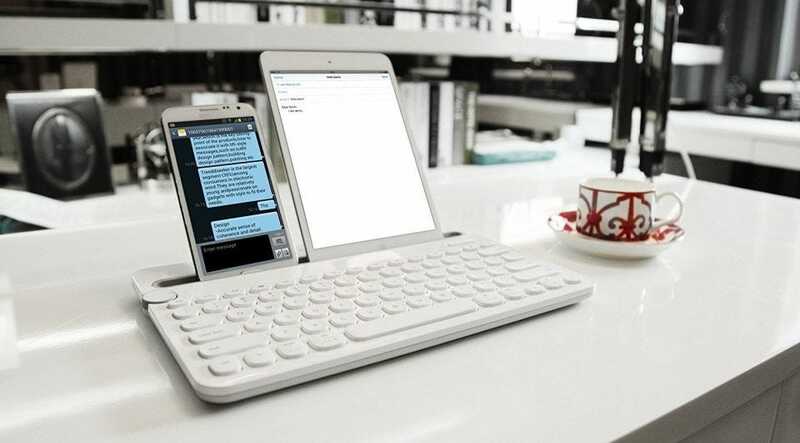 Want a keyboard that allows you to type on one device then switch to another with the turn of a dial? If your ‘laptop’ is less of a laptop and more of a tablet, a Bluetooth keyboard is a must. Unfortunately, it’s not super easy to hijack the keyboard of your laptop when typing on your phone—that’s where this keyboard comes in handy. The Logitech Bluetooth Multi-Device Keyboard is great for switching between devices. Pair the devices with the keyboard (it supports up to three devices which can be selected with a simple dial twist) and you’ll be typing away on your phone or tablet with ease. The keyboard even sports a slot, seen above, where you can park your devices. You’ve got the essentials in your bag already, but who’s to say that having a clean keyboard isn’t a must? This Magic Sticky Dust Cleaning Gel is sure to not only get that dirt and grime from those long days pounding away on the keyboard, but it will also kill over 80% of germs. All you need to do is pinch it to the desired shape, place it on the surface you want to clean 3 to 4 times, fold it so the dirt and crumbs are in the middle, then place it back in the bag. You can reuse this gel until it darkens and loses its day-glo coloration . The gel isn’t just for laptop keyboards either, it’s great for pulling lint out of the tiny speaker ports on your phone. While practically everything is going to the cloud, it doesn’t hurt to have an inexpensive way to backup your files locally. 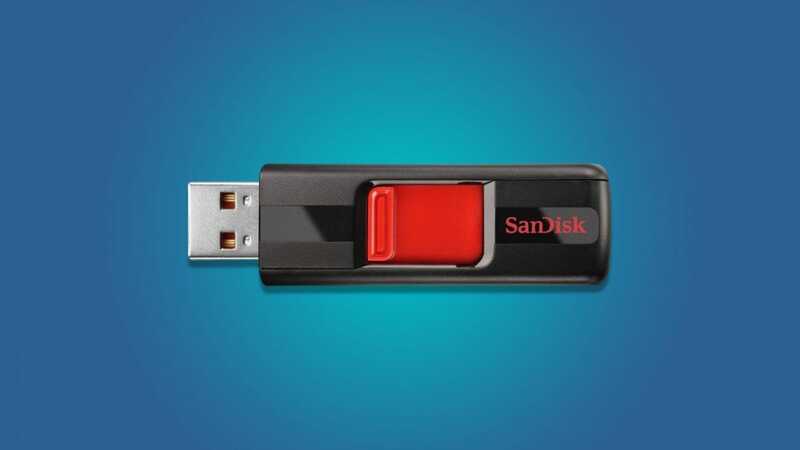 The SanDisk Cruzer Flash Drive is small and reliable, holds up to 64 GB of data, includes 128-AES level encryption software to keep your sensitive files safe, and—most importantly—is from a reliable flash memory company. You could go for a much bigger drive but it’s tough to beat this simple SanDisk Cruzer drive in terms of price and reliability. If you’ve looked around your home or office space and can’t find a pair of backup headphones to toss into your bag, then look no further. Are these Betron DC950 Headphones the absolute best headphones around? Not for 16 bucks they aren’t. 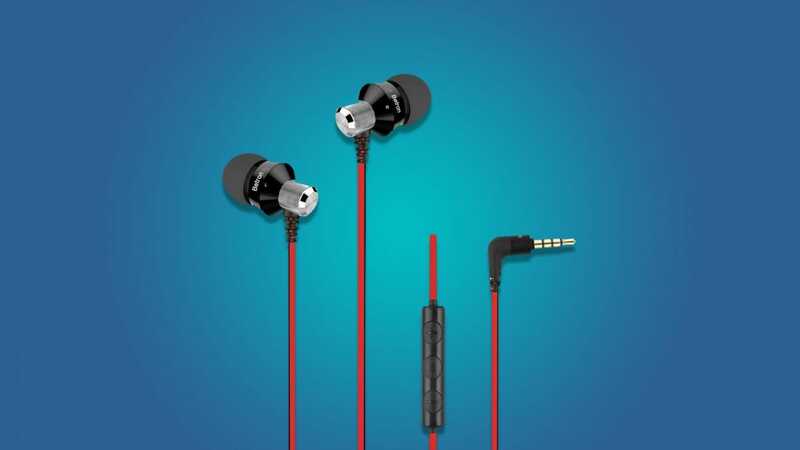 Are they really great headphones for the price point? Absolutely. For the price point they’re quality headphones that you can throw in your bag and forget about them until you need them. Speaking of headphones, if you’re tired of untangling your earbuds consider getting a pack of Vinmax Cord Keepers. One pack comes with 5 colored donut-looking, squishy cable holders that pop open when you squeeze them. Once it’s open, you wrap your cable or headphones around the center and then pop it back closed. And because they’re colored, you won’t get your wires confused! This is great, especially if you’ve got many devices with different cords that you want to keep separated. Want a simpler solution? Try these ARMRA Cable Winders. They allow you to easily wrap up and see your cables, and can be released with a single pull. Between the gadgets we’ve suggested and the gadgets you’ve already got in your bag, things are starting to look a little disorganized. 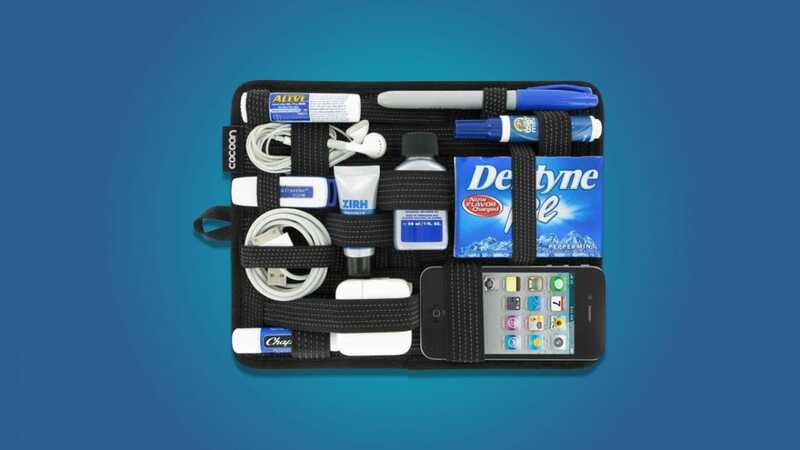 If your laptop bag of choice isn’t ripe with perfectly arranged pockets (and most of them aren’t) the Cocoon GRID-IT! Organizer will come to your rescue. The ingenious design allows you to hold an array of items, from cables and headphones, to chapstick and gum, to even your phone itself. There are endless ways to stick your items within the woven, rubberized elastic bands that hold your things firmly in place. 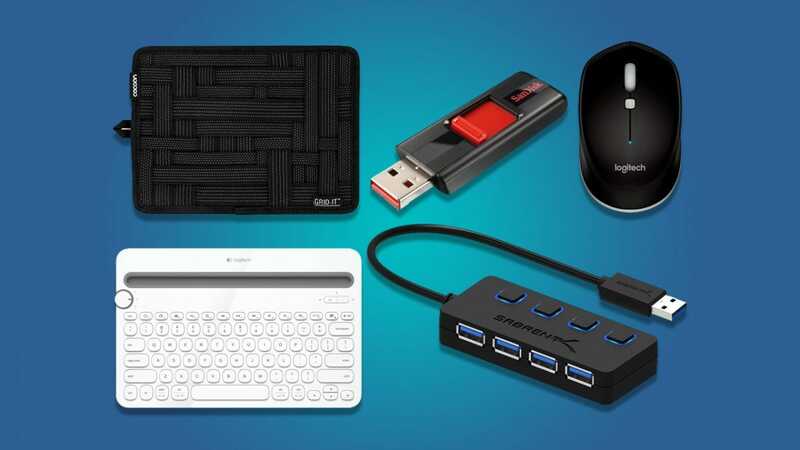 Not only will this fit neatly within a laptop bag, but the back acts as a mouse pad, too. So you’ve got all these things in your bag—a laptop or two, your phone, and maybe even a tablet. There are so many chargers to keep up with, and the last thing you need is a tangled mess that prevents you from finding what you need. The ButterFox Universal Electronics Accessories Travel Organizer will keep your chargers neatly organized and in one place, so all you’ll have to do is pull the organizer out of your bag and grab what you need. There are two netted pockets on the inside that can hold smaller cables. 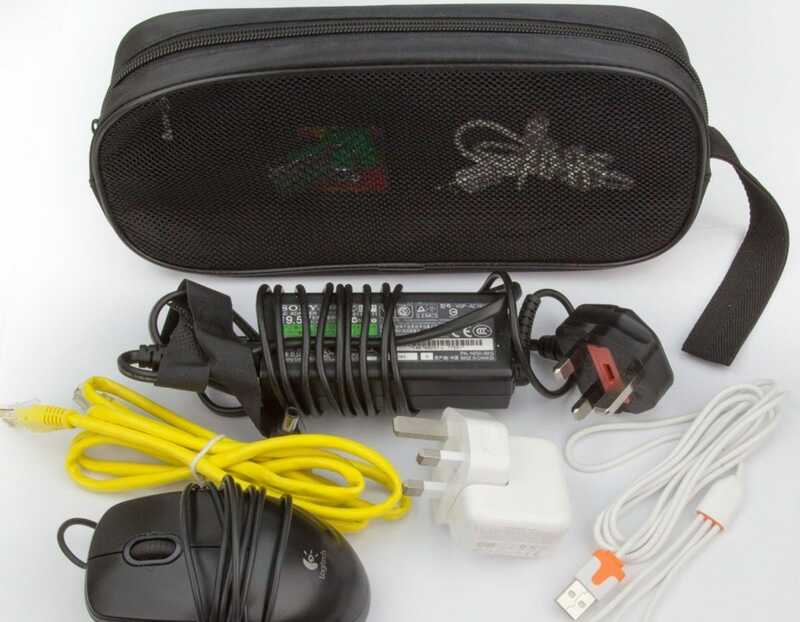 The organizer itself can hold multiple chargers and a mouse all at once with ease. There’s a time and place for incredibly high-end headphones, but maybe running in a busy city or slamming heavy weights in a packed, noisy gym isn’t it. We’ve rounded up some sounds-good-enough earbuds that have gym-worthy features that’ll see you through a workout without breaking the bank.